Filippello Park’s two athletic fields, picnic area, playground and more draw lots of visitors. As a follow-up to the Filippello Park (Grove) renovation update, which was distributed on July 27, I would like to provide more specific instructions for parking beginning Monday, Aug. 6. The entryway to Filippello Park (Grove) will be closed beginning Aug. 6 due to the renovation of this area. Renovation will continue until approximately mid-November. Monday through Friday: 5:00 p.m. to 10:00 p.m.
A temporary pathway will be created in the back left corner of the parking lot to connect the parking lot to the fields for access to the Filippello facility. There will be signage installed soon directing park users to the appropriate location. Our expectation is that all users of the facility will strictly follow all rules and regulations during their stay at the facility and while parking in the lot and be respectful of the primary users of the parking lot. 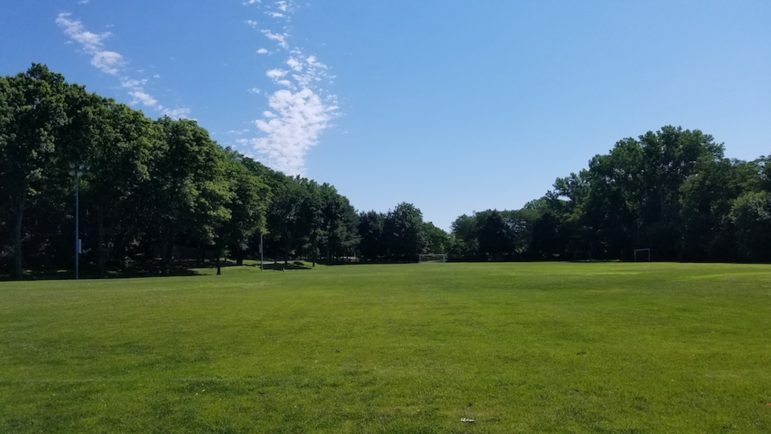 Please feel free to reach out to the recreation department at 617-972-6494 or recreation@watertown-ma.gov for concerns, questions or comments.